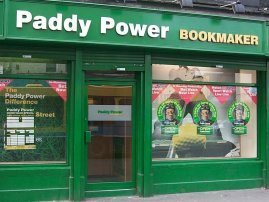 Dublin-based bookie Paddy Power made profits of 139.2m Euros in 2012, up 15% on the previous year. Who said gambling doesn't pay? A big chunk of that came from a 185% leap in mobile business – bets made on smartphones and tablets now account for one-third of its 653.8m Euros total revenues. What’s more, the number of mobile customers grew at a lesser (but still respectable) 44%, showing that mobile spend per punter is rising fast. Another sign that mobile commerce is going to be one of the business stories of 2013. ‘The adoption of mobile across our markets, combined with our e-commerce capabilities, technology and brand, means we now have nearly twice as many active online customers than we had in 2010,’ said CEO Patrick Kennedy. Paddy Power – a regular top 10 contender in MT’s Britain’s Most Admired Companies in recent years – also managed to salt away more dosh, it’s cash pile growing to 209m Euros. A war chest which presents Kennedy with what plenty of what they call in the trade ‘opportunities to create shareholder value’. Will he head out on the acquisition trail or look at some big opportunities for organic growth? We’ll have to wait and see. In the meantime shareholders should be pretty happy with total dividends of 120 cents per share in 2012, up 20%. Not a bad little earner. It’s not all good news however, Kennedy also warned that currency devaluations may throttle its performance this year. Getting on for 75% of its trade comes from the UK and Australia, both nations whose currencies have been under pressure in comparison with the Euro recently. Further devaluation of the already shrinking pound looks likely as 2013 progresses, a prosepect which Kennedy reckons could knock 10m Euros off operating profits for the year. Oh well, win some lose some.